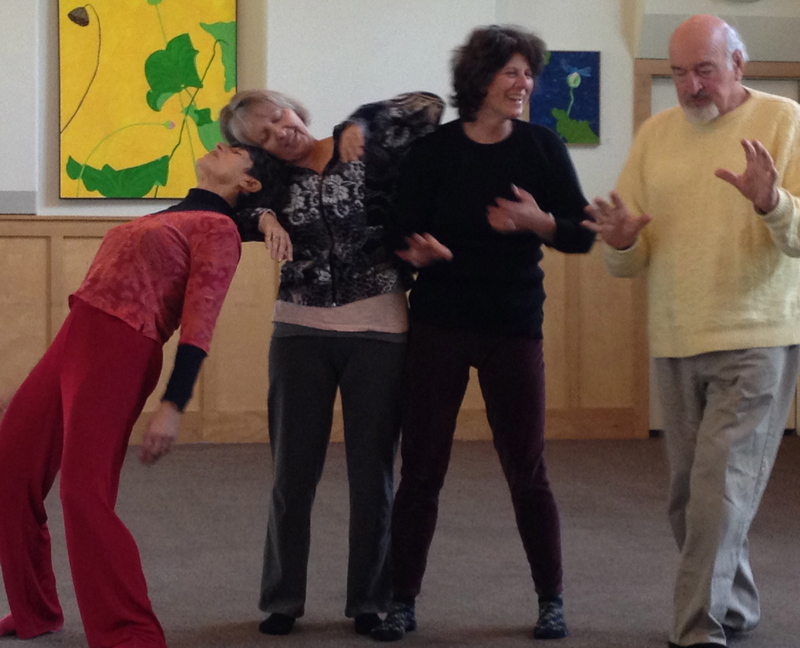 InterPlay expands awareness of body, mind and spirit using movement, spoken word, voice and stillness. It gives people a chance to evoke their own authenticity – by having fun – sometimes alone, sometimes with others – learning in an energetic, caring atmosphere. Cracking open old patterns, freeing up creativity – unknown results follow. Through improvisational movement and play InterPlay renews energy, multiplies grace, creates joy, evokes insight and wholeness. InterPlay was founded and developed by Cynthia Winton-Henry and Phil Porter. Check out the home of InterPlay in Oakland, InterPlayce. InterPlay is the brainchild of Cynthia Winton-Henry and Phil Porter, two modern dancers with an affinity for matters of the spirit. In 1988, after having been members of the dance company Body and Soul, they decided to collaborate and explore the intersections of movement and spirit beyond the boundaries of religion. Through improvisation, acting in the moment, they were accessing a lot of information that was in their bodies. They loved doing it with others. They believed that a practice based on these values and focused on experience rather than performance could change lives. Thus the seed of InterPlay was born. Their choreographic training suggested that structure was also needed. Phil says, “If you want to play and create with others, it helps if the elements you are playing with are limited”. They developed what they call ‘forms’, which became the building blocks of InterPlay. Today InterPlay is practiced worldwide. It is in some 120 cities in the United States, Canada, Australia, Britain, Thailand and India. InterPlayce, in Oakland, is the studio and office headquarters for InterPlay today. All types of movement and spoken word have the chance of occurring throughout an InterPlay class. Since every class is improvisational in nature, each person accesses the movement or spoken word vocabulary that is present for them at that moment. Simple structure directives (called ‘forms’ in InterPlay) are given by the facilitator, while the participants use them to help access their own impulse to create. Moving, dancing, vocalizing, sounding, singing and storytelling are inherent in this system. A typical class will include a time for centering, check in, warm ups of body/spoken word/voice, group movement and spoken word ‘forms’, some trios, duets and solos and a closing circle. Important to the heart of the group is a time when those who are creating are being witnessed by others. Not as “performers/audience”. It is more like “creators/non-judgmental witnesses” – creators accessing their own wisdom by being present to themselves with witnesses observing affirmatively and staying present to how they are being affected personally by what they are experiencing. This creates the atmosphere of non-judgment and safety which is so important when attempting to improvise freely and deeply. Often there is a time of soulful sharing from both the creators and the witnesses about their experience. Sessions can include times that are hysterically funny and playful as well as moments that are sneakily and subtly deep. Julianne Rice is a life long dancer, yogi and teacher. Her interest in InterPlay dates back to 1983. As a student in the summer choreography program with Hanya Holm at Colorado College, Julianne became aware of a dance company in San Francisco called Body and Soul. She moved to California in an effort to pursue her career as a dancer who had a strong inclination for introspection and contemplation. After arriving in California, Julianne connected with the Body and Soul Dance Company. Soon thereafter, two of the three members of that company, Phil Porter and Cynthia Winton-Henry, went off on their own to develop and found a system of expressive arts improvisation called InterPlay. Julianne followed them and their work. InterPlay Today Julianne became a certified InterPlay leader in the mid 1990’s. Within the system of InterPlay she finds a home for her diversified skills and interests. Everything from the sublime to the ridiculous has a place there. InterPlay is the largest playground for creative self expression and growth she has ever encountered. For her, it provides a challenge and inspiration while also serving as a rich, spiritual practice. It is a place where she can presence all of the varied parts of herself – connecting the dots of the psyche with the awe-inspiring wisdom of the body. She looks forward to sharing the gifts of this practice. 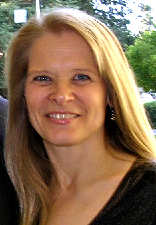 She facilitates small and large groups and coaches individuals. Background Julianne received her Bachelor’s Degree in Modern Dance performance from Skidmore College in upstate New York in 1979. During her college years she lived and studied in Lublin, Poland and studied Polish folk dance and music. She lived and studied in Vienna, Austria and performed in their street theater as dancer and acrobat and in an operetta theater as dancer and singer. She also lived for a summer in London, England and studied with the popular ballet teacher John O’Brien at the Dance Center in Covent Garden. She moved to NYC after college and interned at the Joffrey Ballet in their fundraising department. She then worked at Radio City Music Hall as part of their administrative staff while she studied and auditioned. Rice studied Ballet with Finis Jhung and David Howard, Modern with Joan Lombardi, Jazz with Luigi, Tap and Acrobatics with Charles Kelly, Acting at The Actor’s Studio, MimeDance with Stefan Niedzialkowski, Gymnastic Dance with Toby Towson, Acrobatics with Jay Kirk and Circus Arts at the Circus Arts Center. She performed with a Renaissance/Baroque Dance Ensemble and with an Off-Off Broadway group. She taught Gymnastic Dance independently in Manhattan and Jazz Dance at the Darien Dance studio in Brooklyn. After moving to California in 1984 she began teaching yoga in Silicon Valley. She was primary teacher and manager of the Hatha Yoga program at the Center for Spiritual Enlightenment from 1986 – 2011. She currently teaches at Yoga is Youthfulness in Mountain View, Ca. She also taught yoga and lyrical jazz dance at the San Jose Civic Light Opera, now known as American Musical Theater. Rice has written two teaching manuals and led a teacher training in a program she developed called Yoga ‘n Play. It is a method of exercise and bonding for moms and their new babies. It blends the heart, philosophy and practice of Yoga and InterPlay.